Eat, Drink, Dance, Be Social’ is the ethos of exciting new bar & restaurant East Coast Social, based in Southend-on-Sea’s bustling high street. The bar focuses on craft beers to signature and classic cocktails using seasonal produce, with a new and varied wine list to match. The restaurant offers an experience of food that includes steaks cooked on hot rocks at the table, to grilled seafood showcasing the very best of British produce. 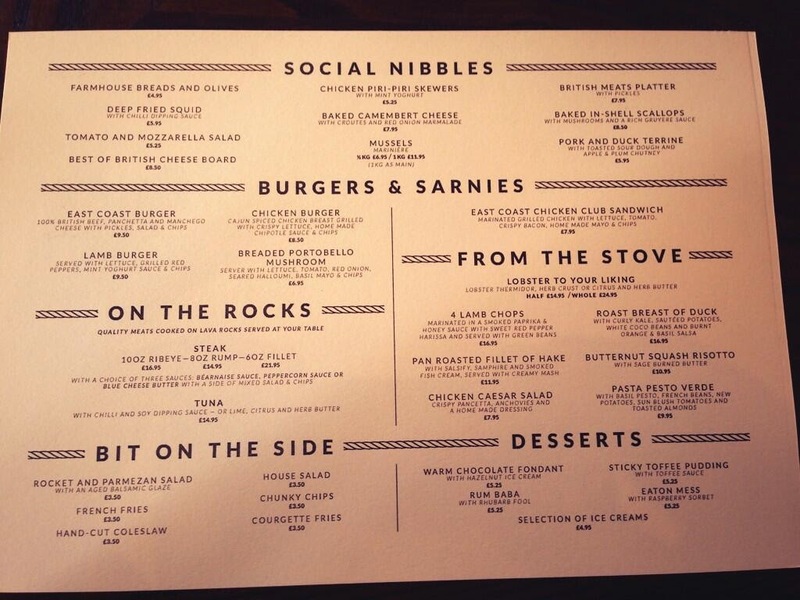 The bar menu is social and tasty with best of British burgers, hot dogs and street-food inspired offerings. East Coast Social will also operate a later licence at weekend providing cutting edge musical entertainment with Djs performers and unique party atmosphere, a perfect venue to celebrate any special occasion.